Ismail flees his village in Bihar one night with his wife, Zarina, and infant son, Azam, and, overnight, moves from being a respected tea-stall owner to a pavement-dweller in a massive, forbidding city. With no roof over his head, unsure of where his next meal would come from, Ismail struggles with the challenges of this strange new world. Across town, Steve Cooper, a dashing young pilot, is looking for domestic help. A chance encounter leads to Zarina being hired as an ayah, and Ismail and his family come to live with the Coopers. As the months go by, little Azam slowly finds a place in the hearts of the Coopers, and although Steve faces strong opposition from society, he refuses to treat the son of his maid any different from his own son. When the Coopers find out that their application to migrate to Australia has been approved, Steve hopes that the new country will give Azam the equal opportunity that will continue to be denied to him in India because of his parentage. But will Azam’s biological parents give him up that easily? And will Steve really find Australia to be the promised land he thinks it is? As hilarious as it is heartbreaking, Vegemite Vindaloo is a tale about the unexpected twists that life can take, and the courage it takes to leave behind all that you knew and start over. Shop around . . . the prices vary considerably. The opportunities we have define who we are, and how we use them affect who we become. That’s the theme of Vegemite Vindaloo, a novel that spans the life-changing experiences of two very different families, one of upper-middle-class Anglo Indians and the other of Bihari Muslims. Everyone’s caught up in the business of change, whether of heart, circumstance or homeland – and that includes the friends, relatives and acquaintances of these two families. Ismail and Zarina flee Bihar with their infant Azam and find themselves in the home of Steve and Hilary Cooper in Kolkata. This is the start of a new life for Azam, who grows up like a foster brother to Clive, the Coopers’ son. Things are rosy until the Coopers are granted permission to emigrate to Australia. Zarina and Ismail must decide if they can part with their son to give him a better chance in life. 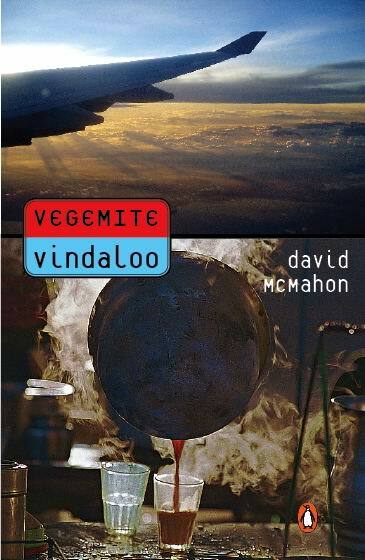 Much like his Anglo-Indian characters, first-time author David McMahon was born in Kolkata and emigrated to Australia, so he’s able to detail with some authenticity his community’s unique blend of belief systems and values. The prejudices, colourful speech patterns and idiosyncrasies of the Coopers make for some ironic comedy. But McMahon’s clearly lost when it comes to the Bihari Muslim family. Ismail and Zarina are a kind of timeless stereotype of their class and community, and devoid of the rich humour and characterisation of the Coopers. This is an optimistic, feel-good novel. Immigration applications work out; corruption and malice are contained; the needy show extraordinary talent when given a chance. And nothing really bad happens to anyone. It’s a prime example of how a novel can proceed from a clear, well-defined theme,and remain so stuck to its plot line that it lacks all space to grow. The march of events is predetermined, and a higher standard of living the ultimate goal. What room can there be for debate? David is a Melbourne-based journalist and internationally-published photographer. 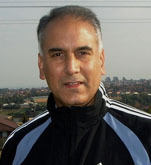 `Born and educated in India, he finished high school at St Joseph's College, North Point, Darjeeling and university at St Xavier's College, Calcutta, and has lived in Australia for 18 years. "Vegemite Vindaloo" is his first novel and was published in April 2006 by Penguin Books India.